Wasp Nest Removal in Edinburgh ? Call 0131 278 0899 Today! Edinburgh pest control are local and reliable fast response service specialising in wasp control / wasp nest removal in Edinburgh and all surrounding areas. Edinburgh Pest Control have a 24 hour emergency call out service covering Edinburgh & the surrounding areas of Armadale, Balerno, Barnton, Bathgate, Bathgate, Bilston, Bo'ness, Bonnyrigg, Broxburn, Broxburn, Bruntsfield, Cameron Toll, Canongate, Cockenzie, Colinton, Comely Bank, Corstorphine, Craigentinny, Craigleith, Craigmillar, Cramond, Currie, Dalkeith, Danderhall, Dean Village, Duddingston, Dunbar, East Linton, East Lothian, Edinburgh, Fairmilehead, Fauldhouse, Firth of Forth, Fountainbridge, Gilmerton, Gorebridge, Gorgie, Grange, Granton, Gullane, Gyle, Haddington, Haymarket Station, Heriot, Holyrood Park, Humbie, Innerleithen, Juniper Green, Kirkliston, Kirknewton, Lasswade, Leith, Liberton, Linlithgow, Livingston, Loanhead, Longstone, Marchmont, Mayfield, Mid Calder, Moredun, Morningside, Mortonhall, Mountcastle, Murrayfield, Musselburgh, New Town, Newbridge, Newhaven, Newington, Newtongrange, Niddrie,, North Middleton, Northfield, Old Town, Ormiston, Oxgangs, Pathhead, Peebles, Pencaitland, Penicuik, Polton, Port Seton, Portobello, Prestonpans, Pumpherston, Ratho, Restalrig, Rosewell, Roslin, Scotland, Sighthill, Slateford, South Queensferry, St. James Centre, Stenhouse, Stockbridge, Stoneyburn, Tollcross, Tranent, Walkerburn, Wallyford, West Calder, West Linton, West Lothian, Wester Hailes, Whitburn, Whitecraig, Winchburgh. 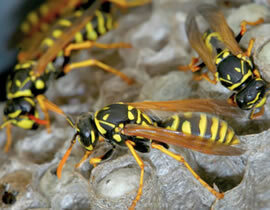 Call 0131 278 0899 for details of our wasp nest solutions and 7 Day / 24 hour call out service.